VIPAccessEXCLUSIVE: Beauty & Fashion Icon Jay Manuel Interview With Alexisjoyvipaccess At The 2017 Beautycon LA! Jay Manuel: a true icon in the world of fashion and beauty. The extraordinary Jay Manuel is synonymous for being a legendary makeup artist and creative director. He has and continues to make such a tremendous impact in the lives of everyone, especially in the lives of makeup enthusiasts. We know Jay Manuel for being one stupendous makeup artist who creates some of the most awe-inspiring and breathtaking looks that always makes heads turn. In addition, we all loved getting to watch Jay Manuel on the hit show, America’s Next Top Model. His creativity is truly mesmerizing and his eye for beauty and his flair for fashion is unmatched and unsurpassed. Jay Manuel has an endless amount of successes in the industry – one of the many being his remarkable makeup collection, Jay Manuel Beauty. Whether it’s products for lips, eyes, cheeks, and beyond, Jay Manuel Beauty offers the absolute greatest beauty products that will make your skin feel great and look flawless. Jay Manuel inspires everyone to love who they are and be confident in themselves with or without makeup. Jay Manuel is a genius who definitely makes the beauty and fashion world go ’round. 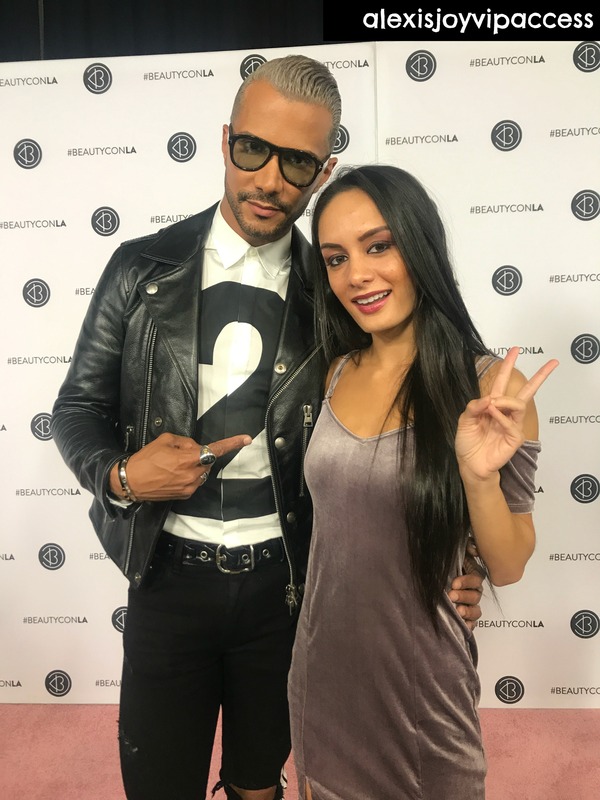 I, Alexisjoyvipaccess had the honor of covering Beautycon LA again and had a brilliant time catching up with and interviewing the sensational Jay Manuel again at the event. Jay Manuel dished exclusively to Alexisjoyvipaccess all about what his favorite product is from his Jay Manuel Beauty collection and what advice he would like to give to fans on how they can celebrate loving who they are. Jay Manuel also sent out an excellent message to all of his fans – hear what he had to say in our VIPAccessEXCLUSIVE updated interview below. Thanks for another terrific interview, Jay Manuel! Check out my VIPAccessEXCLUSIVE updated interview with the prolific and extraordinary Jay Manuel at the 2017 Beautycon LA below! Previous VIPAccessEXCLUSIVE: “Raven’s Home” Star Sky Katz Interview With Alexisjoyvipaccess At The 2017 Beautycon LA! Next VIPAccessEXCLUSIVE: Musician Dylan Matthew Talks About His Single “Sober,” New Music And More In His Interview With Alexisjoyvipaccess!